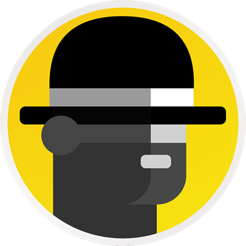 Kingpin browser is full-featured browser with incognito mode and adblock always turned on. It does not remember the history, passwords, or cookies. The browser is using Google search as default (can be changed to DuckDuckGo in settings). It can be used like additional browser for browsing sensitive content, or browser used for more secured online shopping and banking. • Does not store browsing history, passwords, credentials, or cookies. 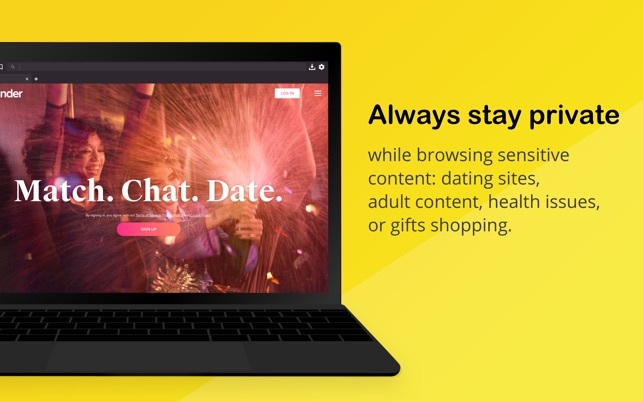 • Always stay private while browsing sensitive content: dating sites, adult content, health issues, or gifts shopping. 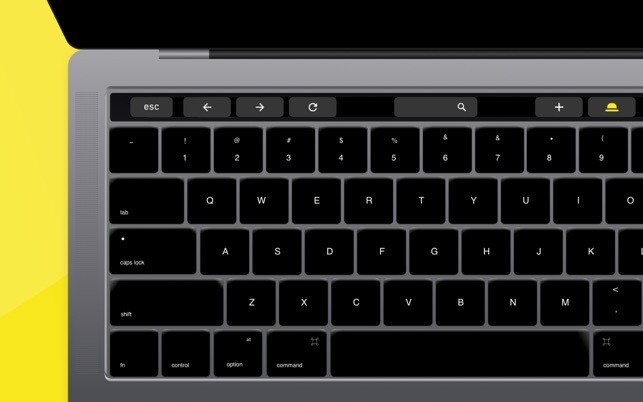 • No auto-completion of the URLs, do not worry if someone looks over your shoulder. 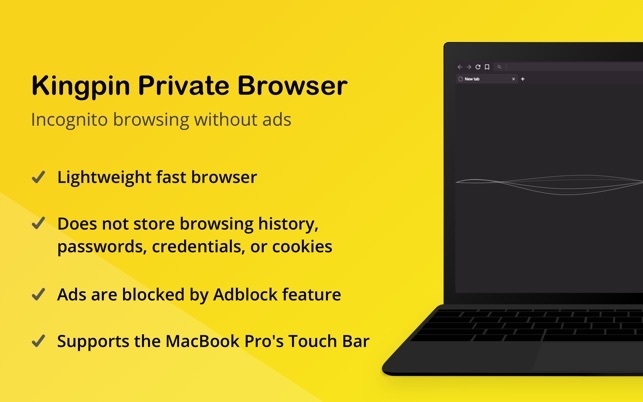 • You can use Kingpin browser while using a computer that is not yours to protect your privacy. 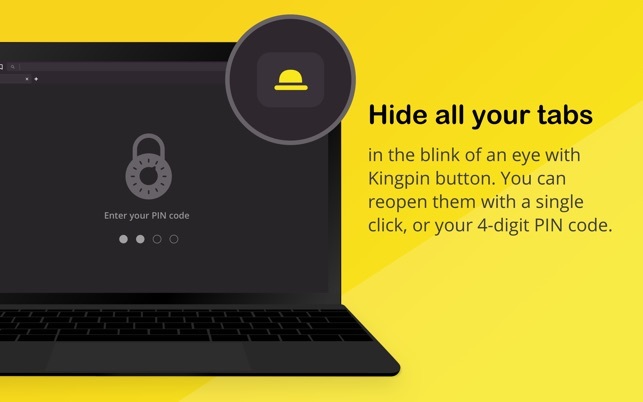 • Hide all your tabs in the blink of an eye with Kingpin button. You can reopen them with a single click, or your 4-digit PIN code. • All financial operations are safer to do in an incognito mode which you do not need to think of – it is turned on by default. 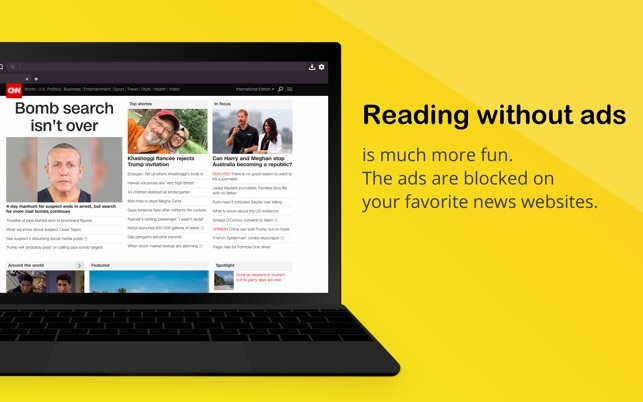 • Reading without ads is much more fun. The ads are blocked on your favorite news websites. • No tracking, you will not be followed with ads/recommendations (i.e. Amazon or Youtube recommendations). You should always prioritizes the privacy, not convinence. definetely worth buying especially making some secure payment or private broswer history in a regulated Country. You can also use it in the public network and make it more secure. A must Yes. Literally worth spending money on this APP!!! One time purchase, lifetime privacy!!!! To put it to summary, this is a good app for being free and having no in-app purchases. 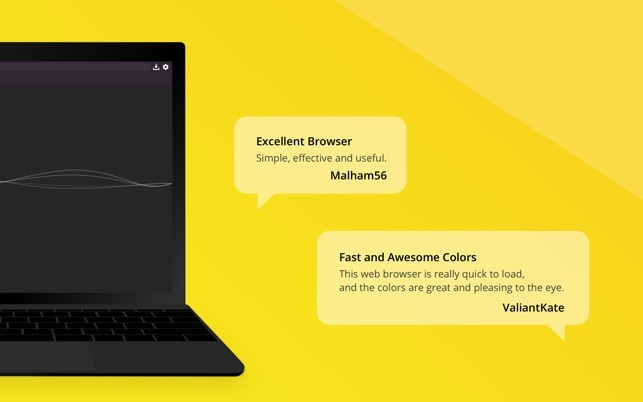 This web browser is really quick to load, and the colors are great and pleasing to the eye. Thank you.